« Wow! What a Meeting! 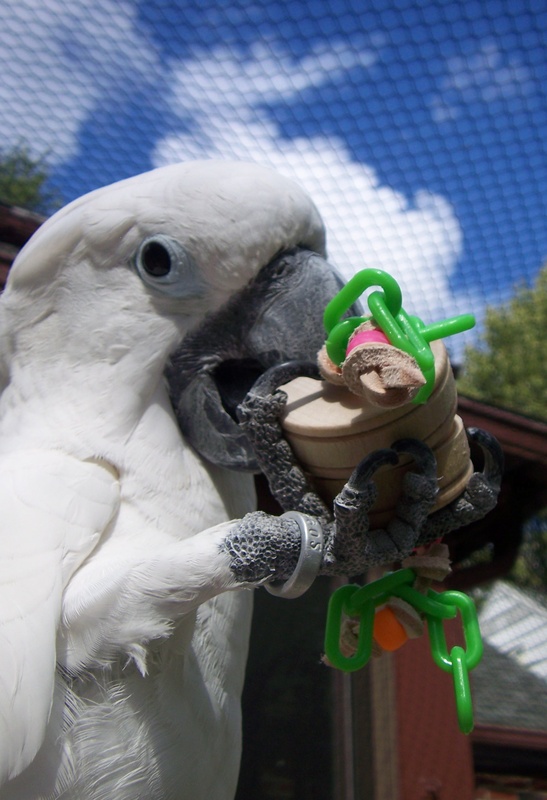 At the last meeting on April 12th we discussed having a foraging toy contest for the next Parrot Society meeting. This contest was sparked by the presentation given at the last meeting on the importance foraging plays in the lives of our companion parrots. We’ve received great reviews of the presentation and have received numerous e-mails on the inspiration this has given to many of those that attended. The contest is to see who can design the best foraging toy and present the concept behind the toy. There have been 3 judges selected. At the next meeting, which will be held on Monday, May 10th at the Sanger Branch Library at 6:15, everyone who wants to enter a toy will be asked to present it to the group and explain to us how the toy is used by the bird. The toy will be judged at the meeting and the winner will receive a toy designed by Lara Joseph. If you can, send us a photo of the toy you are submitting. Feel free to send a video of how it is to be used also and we may include all of them in a blog post here for all to see. A photo of the winner’s toy will definitely be posted. Please submit photos to: parrotsocietyofnwohio@gmail.com. We will also be having a Parrot Society of NW Ohio FaceBook Contest. We will be posting this on our FaceBook page which can be found at: http://www.facebook.com/pages/Parrot-Society-of-NW-Ohio/280689318176?ref=ts . Good luck to all of those that enter. We can’t wait to see them and hear how they are to be used.